This might be the biggest show in Rocker Stalker history! 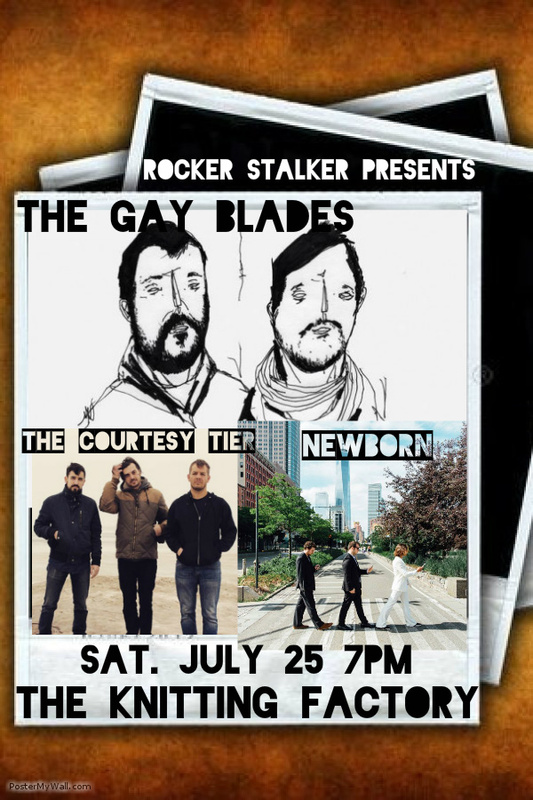 Tonight, Rocker Stalker presents at Knitting Factory in Williamsburg and is honored to have three amazing bands grace the stage: The Courtesy Tier, Newborn and The Gay Blades! The rocking and rolling starts promptly at 7pm. Cover is $10 adv/$12 at the door, so RSVP buy your tickets HERE. See you later, rocker stalker stalkers!